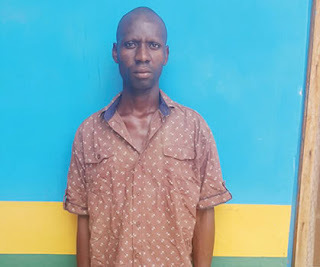 The Ogun State Police Command has arrested a 33-year-old man, Segun Ogunlusi, for allegedly killing his 60-year-old mother, Abimbola Ogunlusi, and later burying her in a soakaway. It was gathered that the incident occurred on Tuesday, December 13, 2016, on Oketunde Street, Molatori, Ogijo, in the Sagamu Local Government Area of the state. The suspect was said to have been arrested following a report from his younger sister, Yetunde Ogunlusi. The state Police Public Relations Officer, Abimbola Oyeyemi, said Yetunde had reported to the police that she left their mother at home when she was going to work on Tuesday, December 13, 2016. The spokesman for the police added that when the complainant got back home at about 7.15pm, she could not find her mother. Oyeyemi said, “She further stated that when she inquired from her elder brother, Segun, who was at home with their mother, the explanation given by her brother was not satisfactory enough. 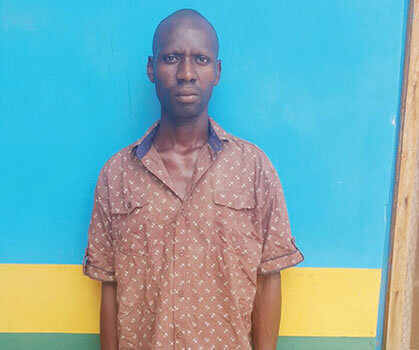 Oyeyemi said during investigation, the police discovered that the Segun stabbed his mother to death and hurriedly buried her in a soakaway very close to the house. “The reason for his action is still under investigation,” Oyeyemi added. The PPRO said the state Commissioner of Police, Ahmed Iliyasu, had directed that the case be transferred to the homicide section of the State Criminal Investigation and Intelligence Department, Eleweran , Abeokuta.